The 101S is a very adaptable stick pack machine, which can produce stick packs in 2 lane, 4 lane, 6 lane or 8 lane format, from 17mm x 40mm up to 50mm x 300mm. The larger the width of the stick to be produced reduces the number of possible lanes. The machine is PLC controlled and has a touch screen for machine access and operator functions. The operator uses the same touch screen, to simply make sticks or fill sticks. 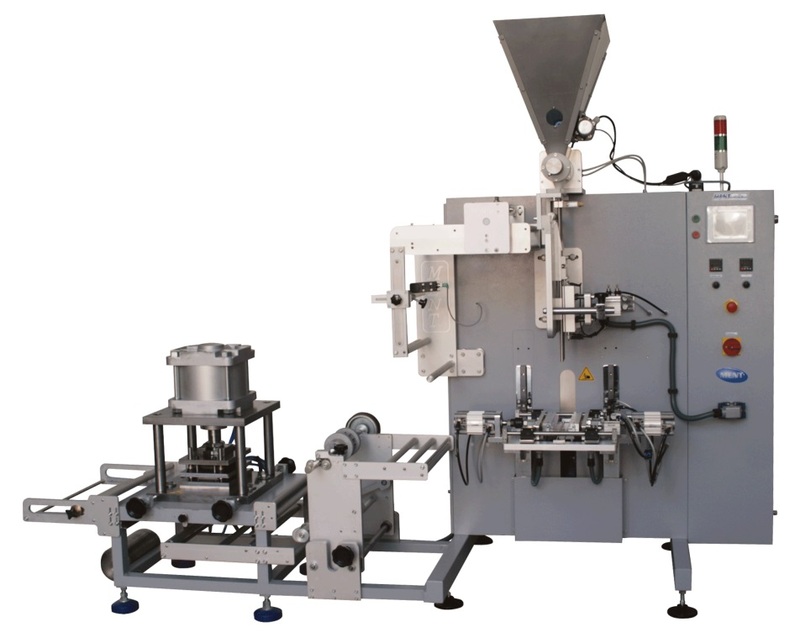 The machine can pack many different products, such as powders, granules and liquids. The tea stick machine was designed for simplicity of use, to produce simple and easy to use tea stick, for Hotels and restaurants. Instead of tea bag paper, the packaging material can be a normal light laminate. The machines does not require special film, as the machine punches water circulation holes in the film, during production, with a special mould. Therefore, the stick can be directly put in the cup or mug of hot water and stirred around, like a spoon, to brew the tea. The machine delivers 2-3g of tea in to each stick of 18mm x 135mm. It has a simple slide dosing unit, so that the tea does not bridge. Photocell for printed film is included on the machine. 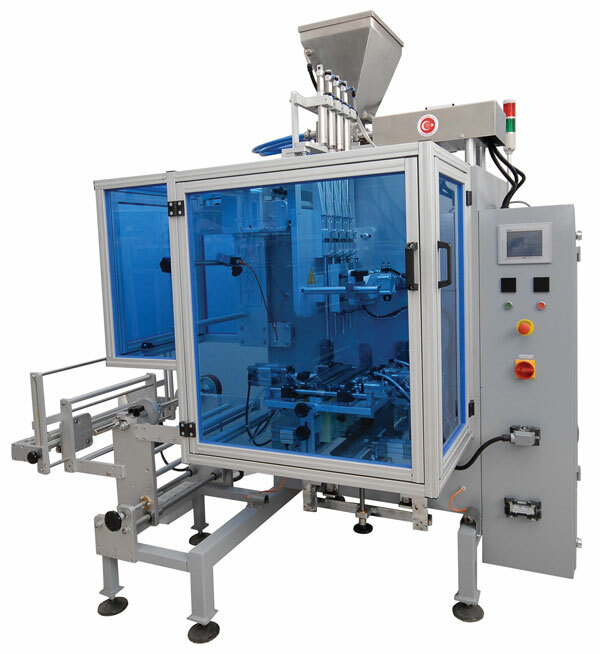 The machine format can be for single lane, 3 lanes or 5 lanes for higher production speed. The layout of the 5 lane machine is shown below both of which are based on the modular 101S above.